For commissary and exchange coupons and bargains that you can access to plan ahead for your next shopping trip at Fort Benning in Georgia, sign up for an account at MyMilitarySavings.com. Membership is completely free, and you’ll be able to access all sorts of exclusive deals designed to make your shopping experience easier. 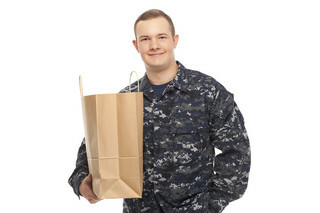 We understand that military life is not without its difficulties, so our goal is to make sure that your next trip to the exchange or commissary is an easy part of your day. For additional help in planning your shopping trip to the exchange or commissary, we’ll also email you a weekly newsletter that includes links to digital copies of the Price Connexion and the Coupon Connexion, so you can see all of the offers right from your home computer. And, with the “My Shopping List” tool, you can plan out your entire shopping trip based on up-to-date sales at the commissary and exchange, and then print out your list or save it to your smartphone. If you’re ready to take advantage of the latest deals for the commissary and exchange at Fort Benning, GA, sign up for your free membership at MyMilitarySavings.com today.